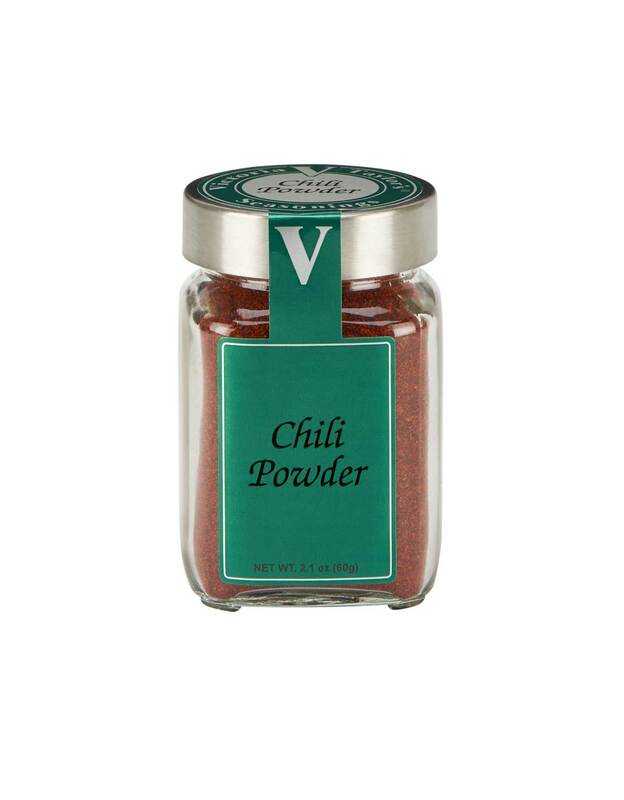 With her signature creative flair, Victoria spices up this traditional chili powder blend of chilis, garlic, cumin, and oregano with the addition of paprika, ancho chilis, and a hint of chipotle. Delicious in chili and tacos or as a spicy dusting to deviled eggs. Gluten free, no msg, and free of any peanut products.